Intelligence Conference) 2018 in London, United Kingdom. 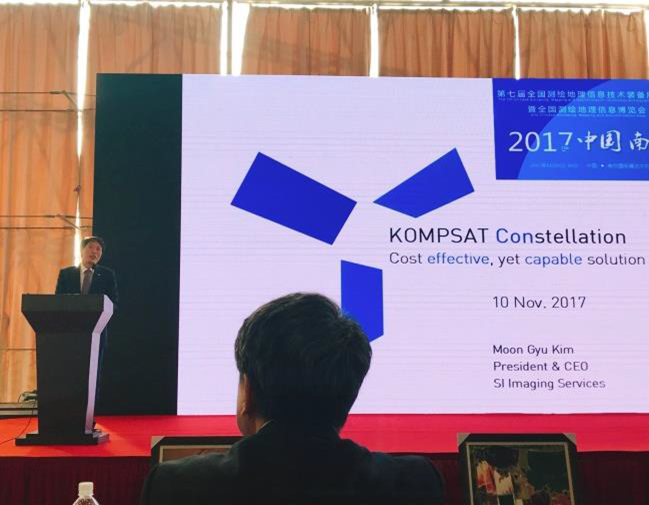 We are holding a promotional event to say good-bye to 2017 and thank our partners and customers for continuous support and interest on KOMPSAT. - This promotion is subject to the orders submitted with our official order forms from November 29th to December 31st, 2017. - 50% discount will be applied on the list price of KOMPSAT archive images. - 20% discount will be applied on the list price of KOMPSAT new tasking images. KARI(Korea Aerospace Research Institute) has been releasing KOMPSAT Imagery Quality Report since May, 2016. We will share the report on our website and newsletter every other month. The report of August and September shows information of KOMPSAT-2, 3, 3A. It includes location accuracy, MTF, SNR. The location accuracy of KOMPSAT satellites have improved a lot from the designed specification, and it has been improved over time. Sysdeco Italia, have more than twenty years of experience in the GIS and RS field. Among its customers are the main Italian universities, small and big local administrations and the most prestigious sectors bodies. Sysdeco has been the first company to distribute high resolution satellite images (Ikonos) in Itlay and today it is one of the few companies that offers advice, products and services at 360° in the mapping market. The companines represented by Sysdeco are: ESRI, Intermap, LizardTech, NTTData, PCI Geomatics, SII Imaging Services and Trimble. 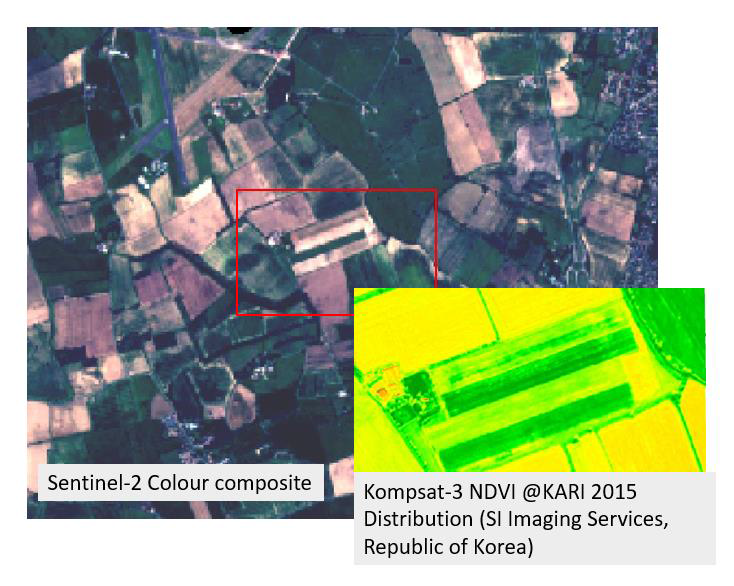 Sysdeco Italia contendedly uses Kompsat data for application of civil and environmental engineering and it acquires mainly stereo imagery of great quality and in very short time thank to the high capacity of revisitation of Kompsat3 and Kompsat3a's satellites. The Tru-Nject project is funded via Innovate UK. 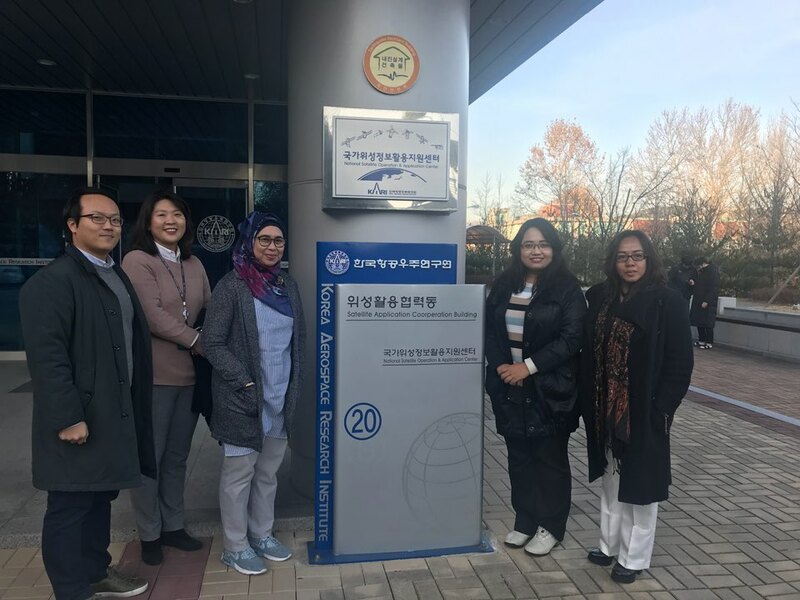 It’s official title is ‘Tru-Nject: Proximal soil sensing based variable rate application of subsurface fertilizer injection in vegetable/ combinable crops’. The focus is on modelling soil fertility within fields, to enable fertilizer to be applied in varying amounts using point-source injection technology which reduces the nitrogen loss to the atmosphere when compared with spreading fertilizer on the soil surface. To do this project created soil fertility maps from a combination of EO products, physical sampling and proximal soil sensing - where approximately 15000 georeferenced hyperspectral spectra are collected using an instrument connected to a tractor. These fertility maps are then interpreted by an agronomist, who decides on the relative application of fertilizer. Initial results have shown that applying increased fertilizer to areas of low fertility improves overall yield when compared to applying an equal amount of fertilizer everywhere, or applying more fertilizer to high yield areas. 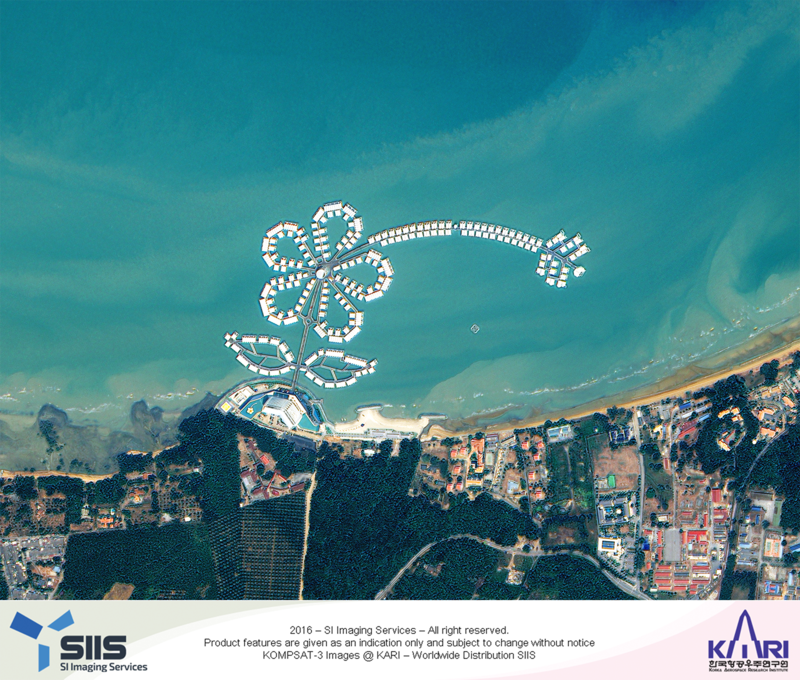 Lexis Hibiscus Panorama Pool Villa in Malaysia taken by KOMPSAT-3. Lexis Hibiscus Panorama Pool Villa is a pool villa in Malaysia, it has been cited as the largest water homes. This iconic resort forms a stunning pattern of the hibiscus with various types of villas making up the petals, leaves, and stigma of the national flower. Copyright (c) 2014 SIIS. All rights reserved.